Inspired by his mother’s love of climbing, Luka found his passion. Through pure determination and practice, he sharpened his alpine skills in the mountains of his homeland. It didn’t take long before he began actively traveling around the world, searching for greater adventures and vertical challenges that motivate him and inspire him to push himself further, including new routes in Patagonia, Venezuela, Pakistan, Morocco and around Europe. 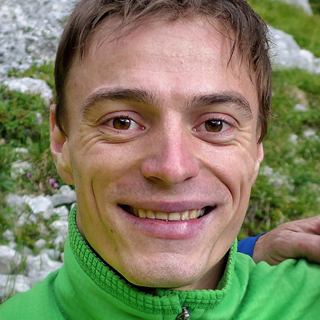 When he needs a break from climbing, Luka enjoys running and especially windsurfing, a hobby that gets his heart going and helps him to create unforgettable moments of joy. “The feeling of curiosity that comes while searching for moments of fulfillment and inner peace drives me to continue following my passions on the wall or in the water,” he says.